Thank you for your interest in becoming part of the PETBUCKs family. We take pride in working with organizations that share the guiding principles of our eigibility criteria as it relates to the humane treatment of animals, ethics & transparency, community and excellence in execution and teamwork. Please fill out our Member Application below and we will contact you. Go to your organizations Facebook page (note you have to be an administrator of that page). Across from the "Admin Panel" heading you'll see an "Edit Page" button. Click on the button and select "Update Page Info" in the drop down menu. At the bottom of that page is your Facebook Page ID. Are your organization’s pets spayed / neutered, do they have recommended vaccinations are they be maintained in good health? Are your organization’s pets treated humanely and sheltered in clean facilities, with no undue stress placed on the animals? Are the number of animals kept by any one foster will be reasonable and in compliance with applicable local ordinances? Is your organization a non-profit organization, up to date on all required filings, and in compliance with the laws of its jurisdiction? Does your organization have an ethics policy or operate ethically with strict adherence to its guiding principles? Is your organization run in a fiscally responsible manner and are a minimum of 85% of its receipts applied to the cause? Do you agree that 100% of PETBUCKs receipts will be applied to the cause? Is your organization willing to be accountable for creating and maintaining PETBUCKs profiles for each pet posted for sponsorship? Pet profiles must be updated at least monthly by the 21st of the month. Are you willing to ensure that pet profiles and profile updates will be relevant and comply with PETBUCKs standards and guidelines? Will your organization assign a PETBUCKs profile coordinator who will be accountable to ensure profiles are current, updated monthly and relevant? 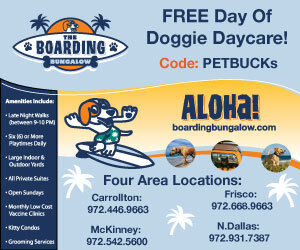 Will your organization provide an inbound link to PETBUCKs homepage from its website? The caption would be agreed to by PETBUCKs and read something like: Not ready to adopt? Sponsor one of our pets in need now via PETBUCKs. 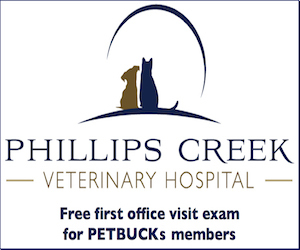 A PETBUCKs logo would also be denoted next to the link.